Education in Iberia Parish schools is financed by local, state and federal funds. Total projected revenues from all fund sources for 2015-2016 are $157,624,000. The local funds that support public schools in Iberia Parish are provided by sale taxes and property taxes. 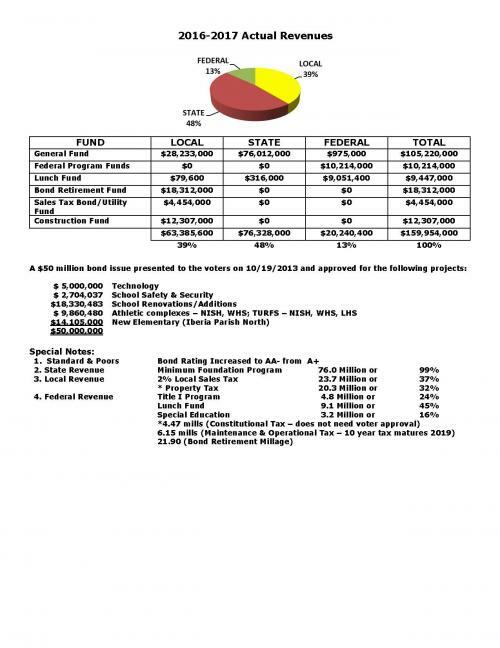 Funds for the general operation of the schools come from a 2.0 percent sales tax and 10.62 mills of property tax. 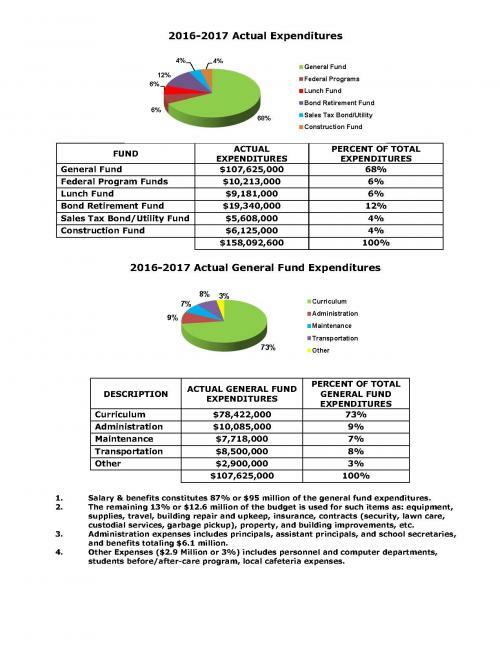 Tax revenues also help to provide for salaries and all other items assigned to the General Fund.